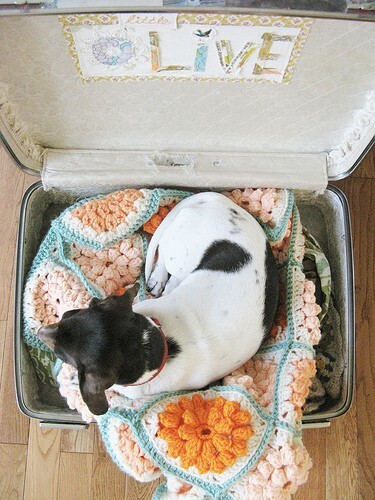 I love quick and satisfying projects and this blanket completely fits the bill! 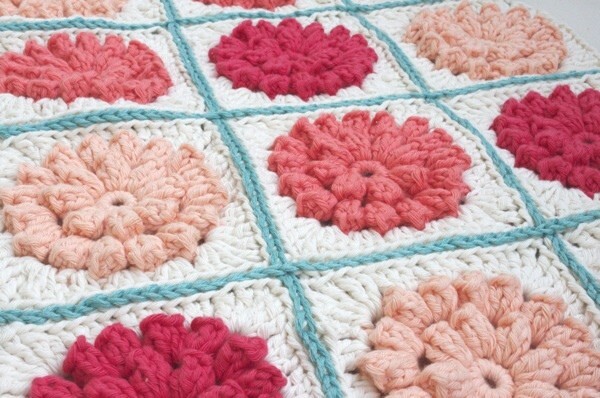 This pretty simple granny square crochet pattern, inspired by dottie angel’s beautiful pattern, is nice and snugly, so perfect for an afghan, blankets,throws and pillows or anything else. This pattern’s name is Something Pretty -such a cute name!- designed by Mille Makes. about yarn/hook: any yarn with corresponding hook will do, i find that moving up a hook size from what the yarn says makes a softer material that would work better with a blanket. i’ve made pillows with these squares so that wouldn’t matter so much. i used sandnes duo (dk weight) and hook 4 mm and the square measures 8×8 cm, with garnstudio drops paris (aran) and hook 5 mm one square is a bit over 10×10. Featured image source: mille makes. Thanks to Mille Makes for this article inspiration.